And then there were two. After five long months, Fame: The Musical reached its crescendo with a tear-filled finale. Finalists Sarah O'Connor, Jessica Cervi, Ben Morris and Sean Carey each sang their last song of the series and Irish audiences voted for their winners. Cervi and Morris will play Nick and Serena in a touring production. The beauty of the TV talent show concept is that no matter how many episodes you've missed, you can tune in and pick up just about where you left off. In fact, sometimes it makes for better TV. After missing a number of episodes, I was stunned to see how far the contestants had come professionally. Cervi's performance of the Etta James classic, At Last, was rousing and Morris's rendition of Cry Me A River belied his tender age of 23. Conversely, Carey's decision to perform Cheryl Cole's Fight For This Love can't have helped his chances. 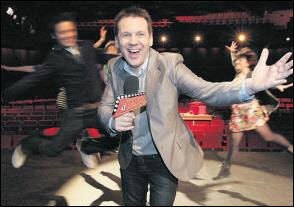 Theatre producer and judge Robert C Kelly previously said that he surprised by the lack of talent when he first auditioned in Ireland. Well, neither can he have expected the level of progression that the 12 finalists achieved week on week. Last night's show borrowed from the British TV reality show model by pairing the contestants with well-known names in musical theatre. While X Factor can draw in names such as George Michael and Beyonce, we got Susan McFadden and Noel Sullivan (remember Hear'Say?). The show has been criticised for putting the vote to the public, hence turning what should be a talent contest into a popularity contest. However, there's no doubt that the biggest voices in the competition made it to the final last night. Yes, it was cheesy and over-sentimental, but Fame: The Musical was the type of show that many tuned into in spite of themselves.